No matter where I go or who I meet, I’ve noticed one thing – people really do love to learn and talk about food. They are really curious about health and want to know more. But unraveling complex diets, understanding the intricacies of nutrition, and exploring the ever-changing world of food and medicine can be complicated. Yet I’ve learned that making small changes in your diet and lifestyle can be incredibly manageable and easy, even for people with the busiest schedules. Some of the small changes that I made in my own diet – including the way I view food – have brought about drastic changes in my weight, health, and overall happiness in life. Coming from my own experiences growing up in a family who struggled with obesity and overeating, I know that living healthy may seem like a difficult path. 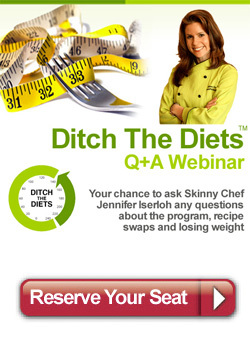 My next webinar on September 18, 2010 is your place to ask all those questions you’ve had about health and food. Joining my online seminar and question+answer session is easy, even if you’ve never attended one before. 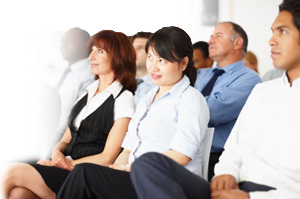 After completing the registration form, you will receive a confirmation email with your personalized webinar details and simple instructions how to participate via phone or from your computer – just make sure to dial in/connect 10 minutes before the webinar starts.